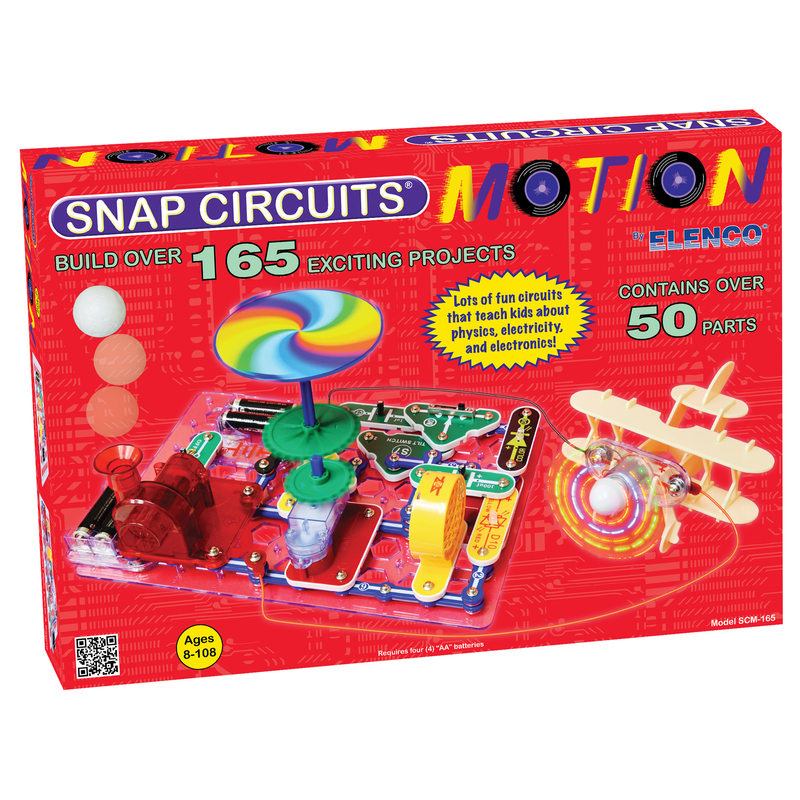 Snap Circuits® Motion contains over 50 parts and over 165 projects to complete -- all projects focused on concepts of motion and physics. Experiment with gears ratios using various gears and pulleys. Experiments include: Color changing lighted fan, air "fountain", motion detector and so much more! Fun projects let kids learn while they play! 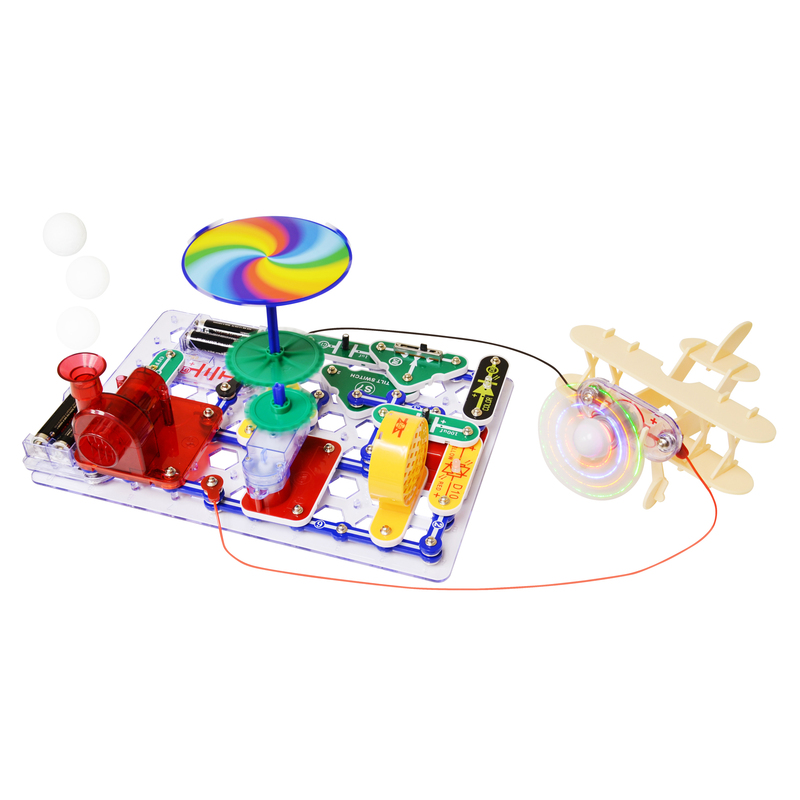 With its easy-to-follow instructions, Snap Circuits® gives your child a hands-on education to discover how electrical circuits -- like those found in everyday devices kids are familiar with -- function and operate. They'll also gain valuable lessons in building and following instructions. The project manual includes large color illustrations and simple directions for each project. Over 50 parts and over 165 project to complete -- all motion and physics focused. Experiment with gears ratios using various gears and pulleys. Gain valuable lessons in assembly and following instructions. Project manual includes large color illustrations and simple directions for projects.